Do you like pink? I do. Pink is a color that can fit in anywhere. 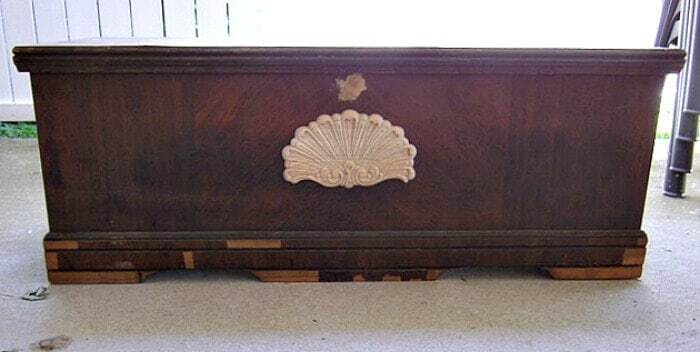 This is the cedar chest from the Nashville Flea Market. It was in pretty sad shape. Veneer was peeling off in places and the stained wood finish was discolored. As promised a few posts ago I’m going to take you through the makeover. The chest didn’t have a lot of detail so I added this decorative wood appliqué. My technical support, namely my husband, got out the nail gun for me and I went to town. The nail gun is so easy to use but sometimes I think it’s too much trouble to wheel out the air compressor. My husband knows all about tools and carpentry and is always showing me faster and easier ways to do things. Oh, by the way, I bought several of these appliqués at the flea market. They were so cheap I wish I had bought more. The little lock piece was missing so I filled the hole with wood putty and sanded it smooth. 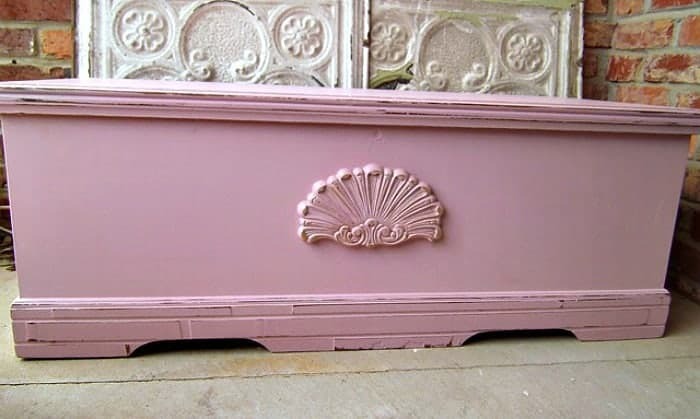 With the added appliqué detail I decided to paint it pink for a little girls room. I mixed Beyond Paint in bright white and some Caromal Colours Paprika to get the color I wanted. I rolled on two coats of paint almost back to back because the paint dries really fast. I distressed it just a tad and then waxed it with Liberon Clear Wax (Amazon affiliate link) to protect the finish and give it a little sheen. Another “makes me smile” finished product. Thanks, that’s all folks. What a sweet chest! I love the girly pink color! It's tough to get pink into this house of boys. Beautiful job! Thanks for sharing. 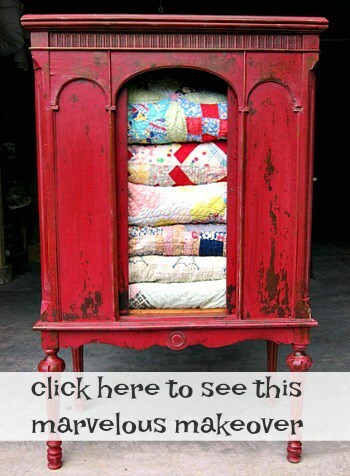 I'm hosting my monthly Before Blogging Throwback Thursdays party and would love it if you'd come and share something you made/did/bought sometime before blogging. Can't wait to see what you share at the party. Very cute and girly! Great job. Such a pretty color choice. Really looks great. thanks for sharing with the newbie party. Loving the pink, great color choice! 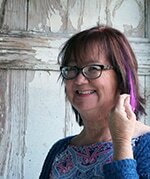 Pretty makeover, Kathy! You took it from blah to beautiful! Thanks for linking to Time Travel Thursday. I would love to have you join me each week. 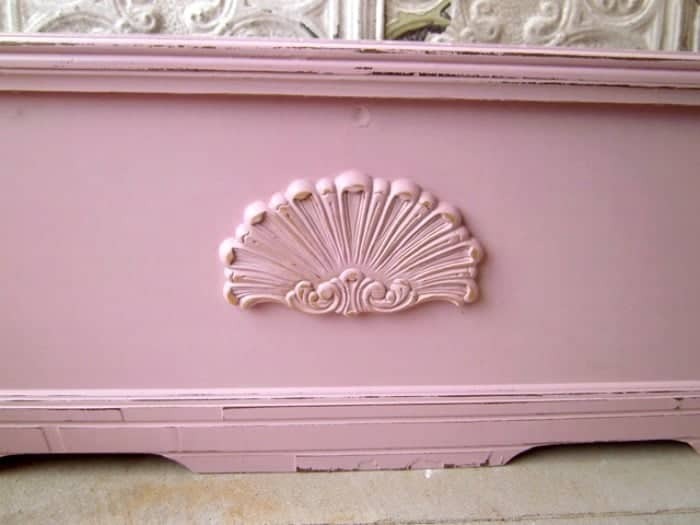 I've got a dresser that would go beautifully with that pink chest! Lovely! Aaaahhh, so “girly” and GORGEOUS!